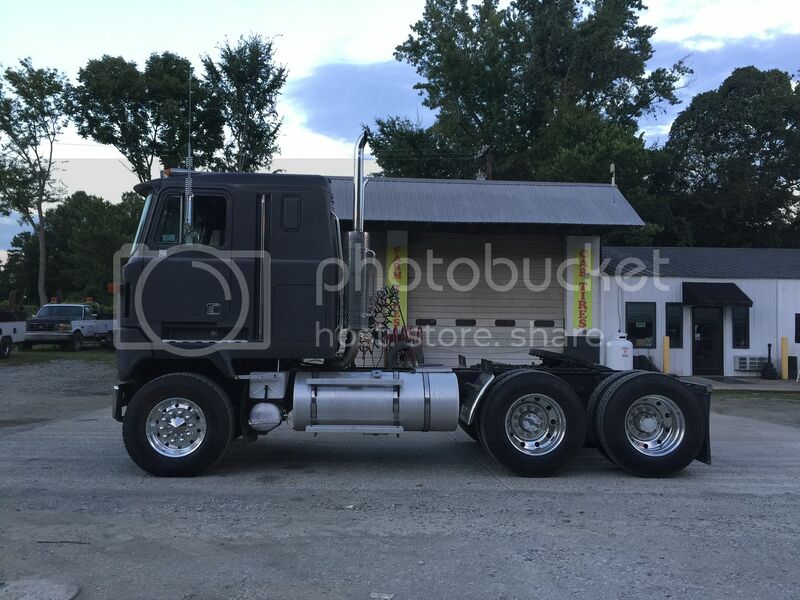 I plan on stretching the Mack slightly and adding all aluminum wheels. Other than that I plan on restoring it to factory new condition with a factory paint scheme. Yeah, I know the Diamond Reo pretty far gone, but at least it won't be scrapped. I hope to restore it to the nicest condition it could have rolled out of the factory in. 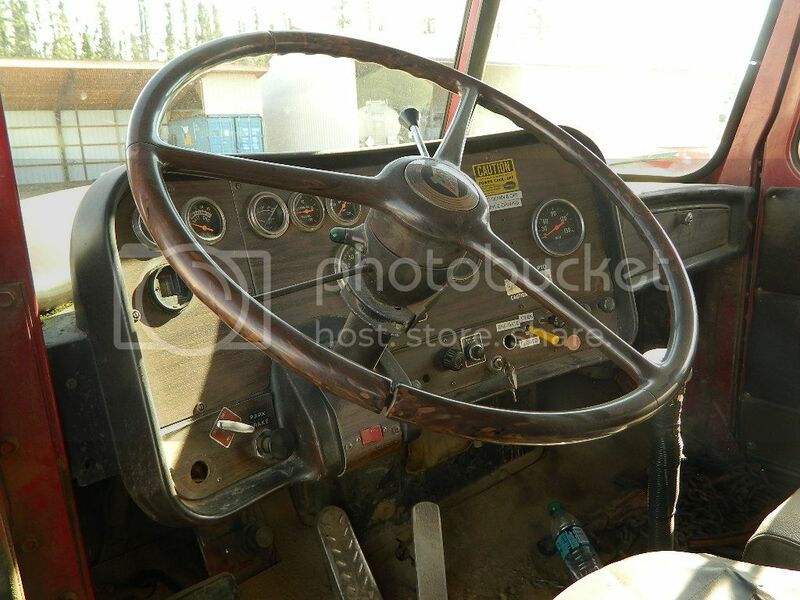 The Autocar had a wrecker unit that we put on another truck, so I plan a full restoration into a tractor. It may end up with a sleeper if I can find the right one. Re: A few of my projects. Nice hobby ... you are fortunate to have the time and space to restore old trucks ! Part of the family business is a diesel shop, so when it gets a little slow I'll take one up there so it keeps the shop busy. I'm by no means a mechanic, so I do some of the basics and take it to the shop so I can work with some of our mechanics and learn more to improve my knowledge and skill. 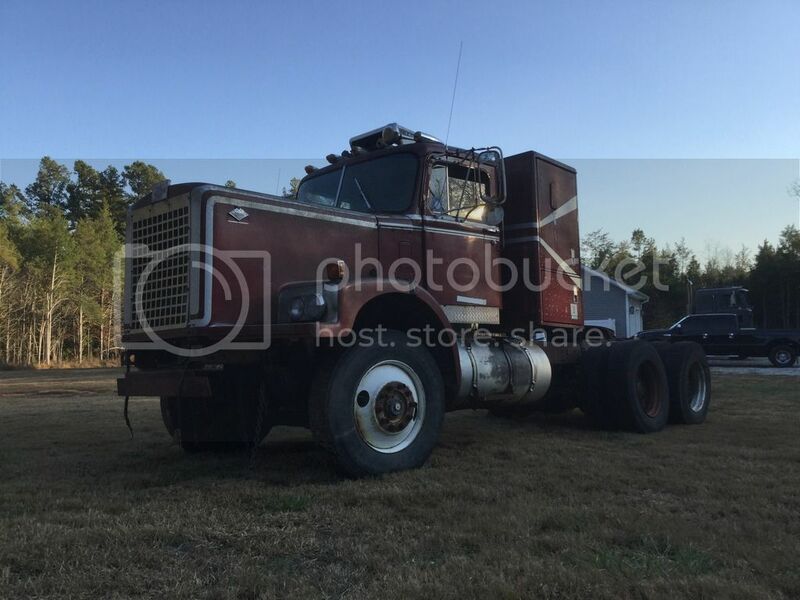 I'm focusing on the Mack right now so hopefully in 3 or 4 years it will be in the best condition I can possibly put it in. 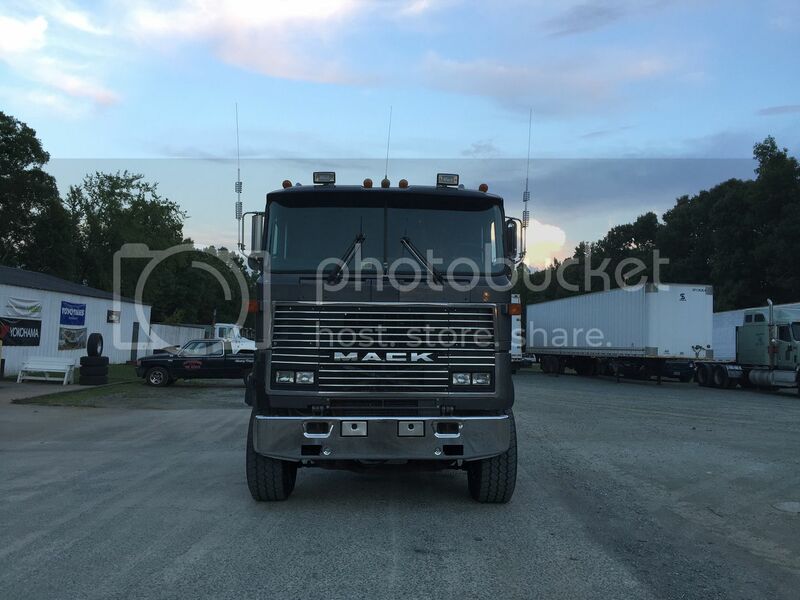 The Mack is in the shop getting some miscellaneous things done like tires, electrical, and air lines replaced. A very small bit of progress-the new mudflaps and brackets. The Autocar is also in the shop getting its fuel tanks removed and cleaned because it sat for so long before I got my hands on it. 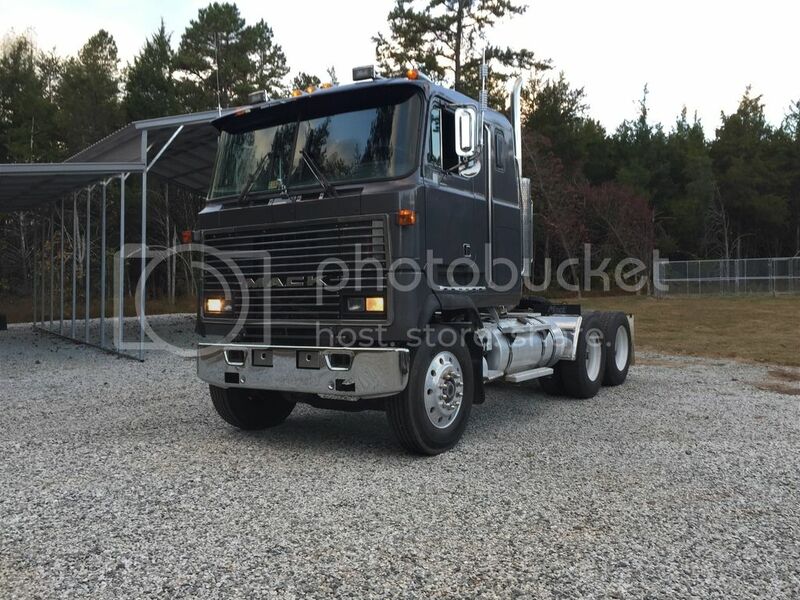 The Mack has me hooked nice project. Bob. 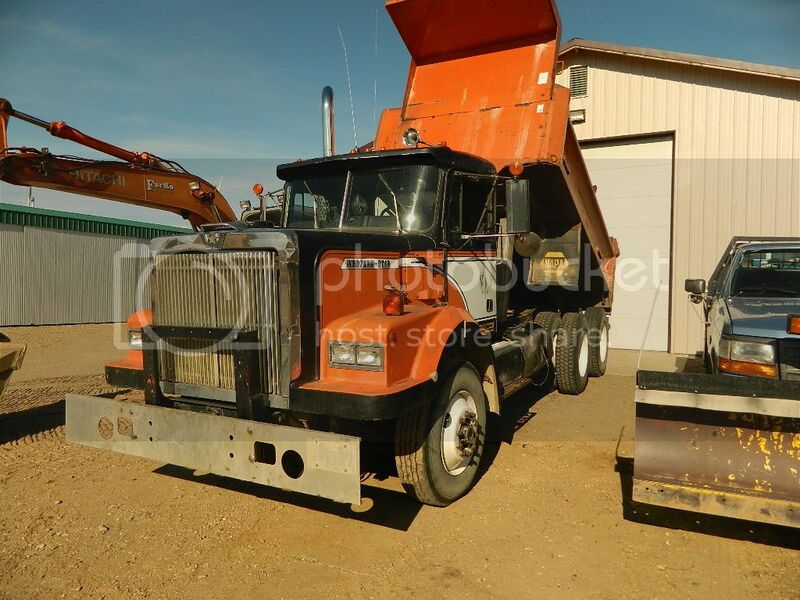 Hello Wreckerman - I noticed the 1980 Diamond Reo you included in your projects. 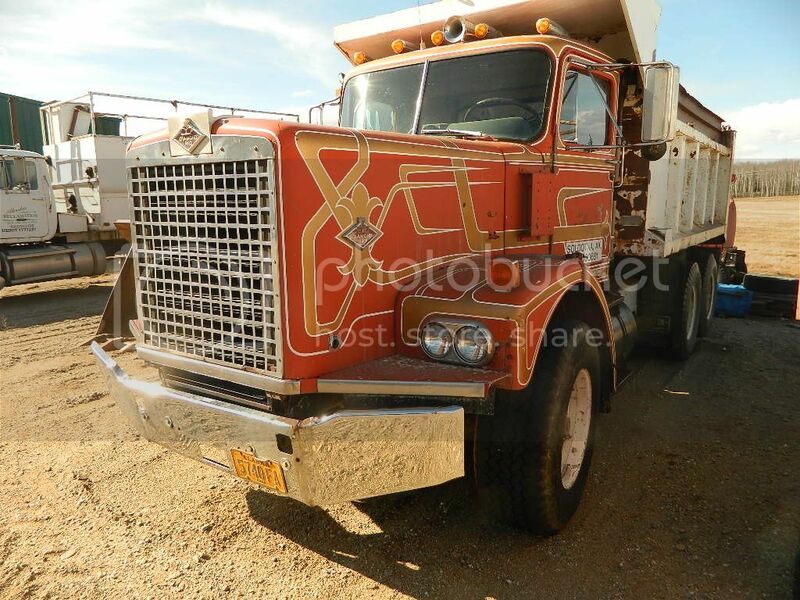 I'll share some pictures of my 1972 Diamond Reo. It's the showboat of my fleet. I bought it from a man who had a body & paint shop so he came up with the wild paint scheme. I used it in our contracting until the DOT inspectors started frowning and I then retired it to our farm. It's got a 318 Detroit and 9513 transmission. I've had the worst drivers in the softest dirt try their damnest to destroy the drive line. The low torque of the weak 318 has saved it but I swear they have spun the engine in the frame a couple times. I've expected this truck to quit any year but IT JUST WON'T DIE. The fiberglass is cracking and the doors are rotting of the cab but it just keeps going. It has certainly paid for itself. It's been a perfect dump truck. 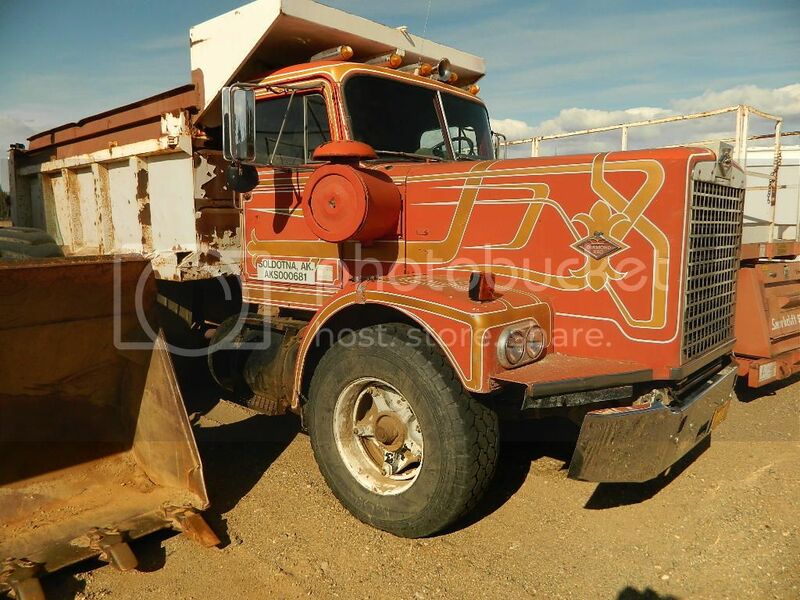 In anticipation of the Reo's demise, I'm in the process of building a newer 1985 White dump truck. It's an ex-State highway maintenance truck. Good luck with your project. When mine finally dies and you need any parts, let me know. 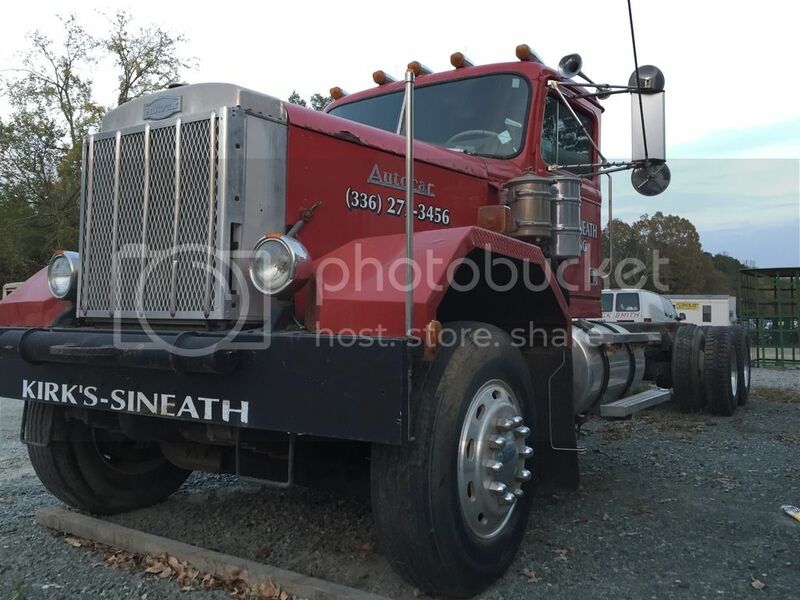 bdward, that's a really cool old truck, I really like the paint scheme, thanks for the pics and info! Also the replacement White is a cool rig to! My Reo will require a lot of time and money, so it'll be some time before I'll tackle its restoration. I got it cheap but considering it had been sitting in the woods since 1995, has no engine, transmission, and the frame is pretty seriously rusted, the owner before me was probably glad to have unloaded on me. Oh well, it looked neat and I couldn't bear to see it scrapped. On another subject, does anyone know where I can get some parts for the COE? Particularly I need a blend door for the A/C system. BDWard: I've had the worst drivers in the softest dirt try their damnest to destroy the drive line. Hahaha....you too? I know all about "seat covers" unfortunately. That's a really cool looking truck. I'd like to see it and all Wreckerman's stuff get restored. 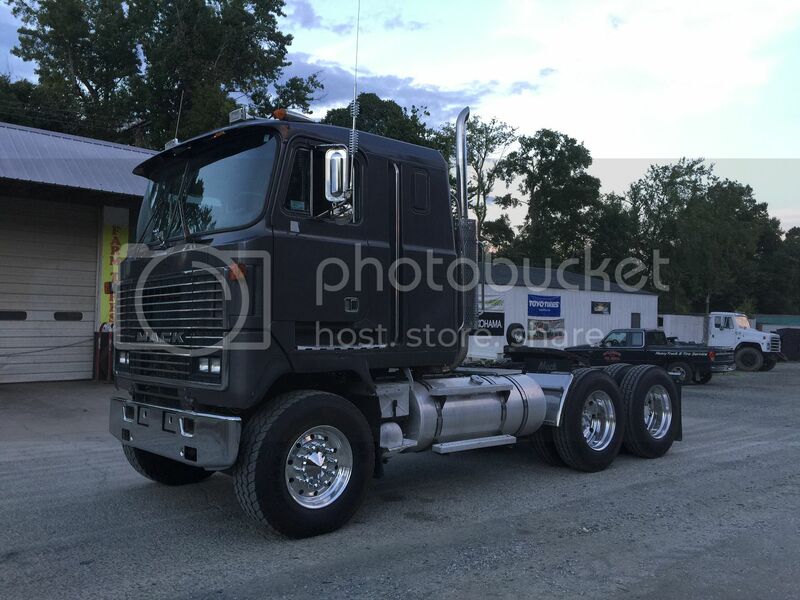 Been a while, the Mack had been a back burner project at the shop. Most of the mechanical work is done, just waiting on some small stuff. 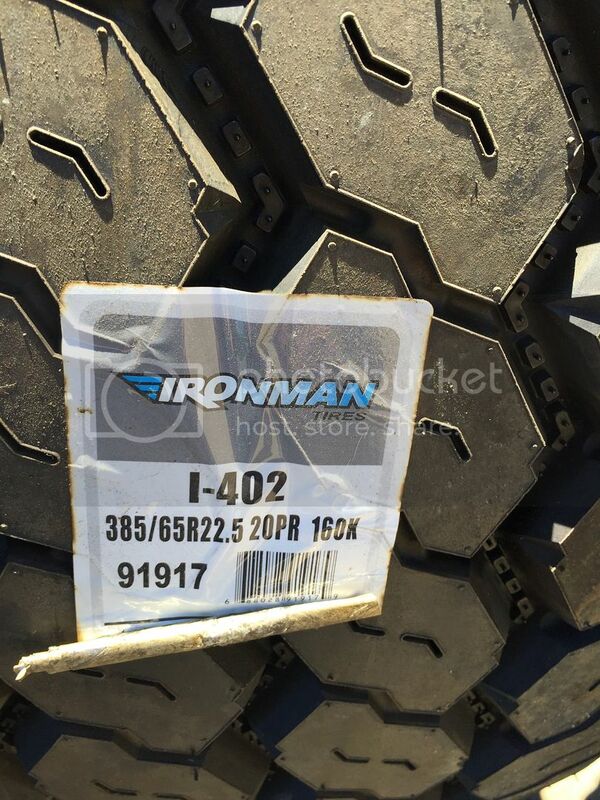 Now just waiting on our tire guy to round up some aluminum wheels for it. 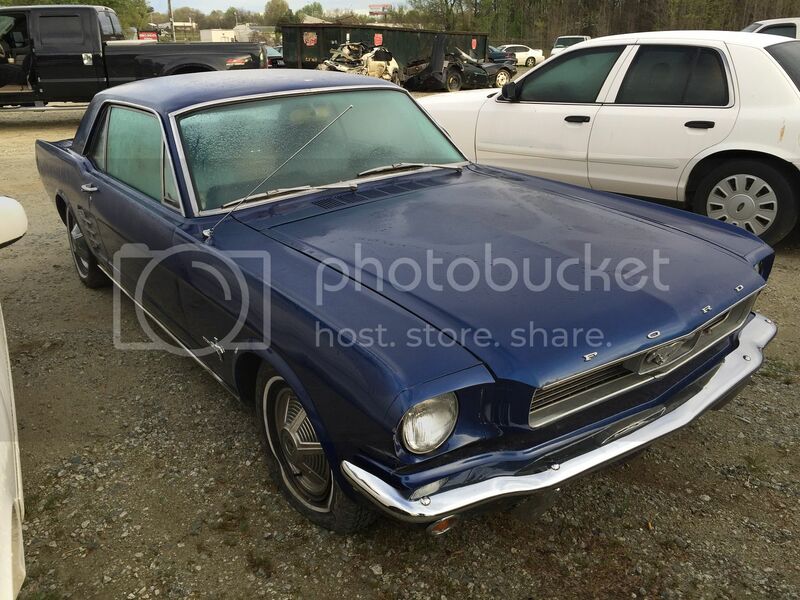 I was not looking for a Mustang but I came across this one at auction and got it cheap enough where I couldn't turn it down. It'll sit at the farm stored with my other "projects" and if not soon restored, at least it won't be sent to the scrapper. Nice - I believe that those are the original hubcaps too ? Tery- I'm not sure about the hubcaps on the Mustang, they look original, but I'm not very well versed in the vintage/classic car area. Also, the car actually runs, hopefully with some minor brake work, it'll be drivable. 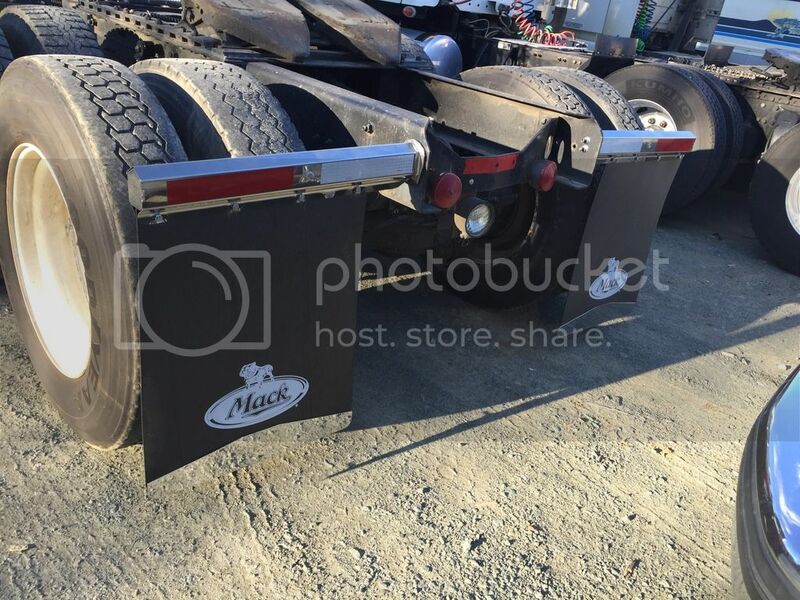 Here's an update on the Mack. It now has all new tires and wheels. I really like the "stance" it has with the wide front tires, they give it a mean look. Also, I'm waiting on the center caps and lug nut covers for the rear, they'll hopefully be on it in the next week or so. You're right, awseome stance , tough as a Bulldog!! 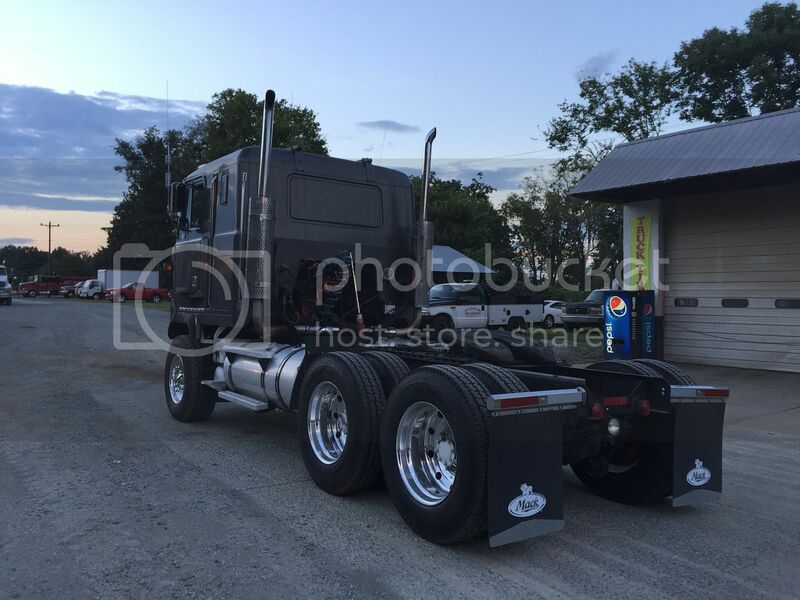 That's a great looking truck Wreckerman, nice job on it. Just out of curiosity, are those recaps on the steers? Mooby- no they are not recaps, they're actually new. 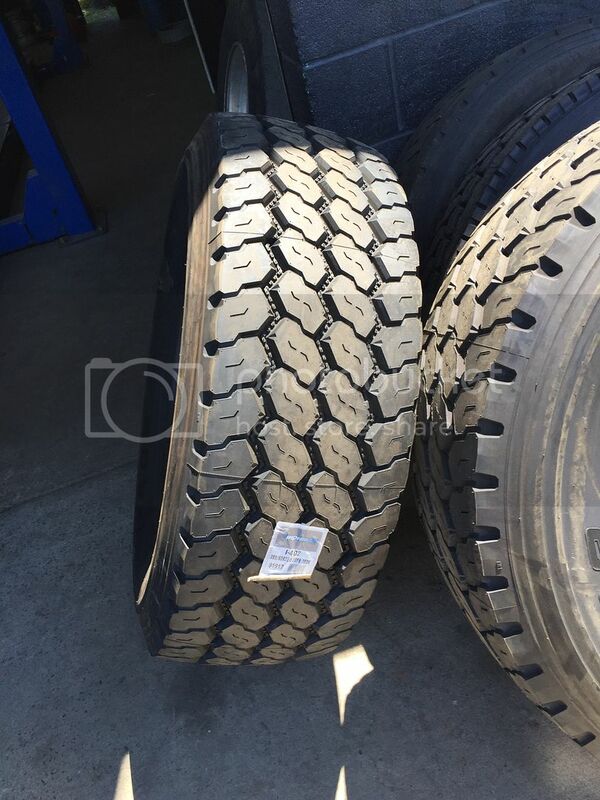 As a whole we try to avoid recaps on the steers, it's just a safety precaution, because a recap isn't quite as reliable as a new tire and if one should have a defect, its better to have a blowout on the rear than one on the steer.